Verbal bullying isn’t just teasing. It is way more destructive than that. 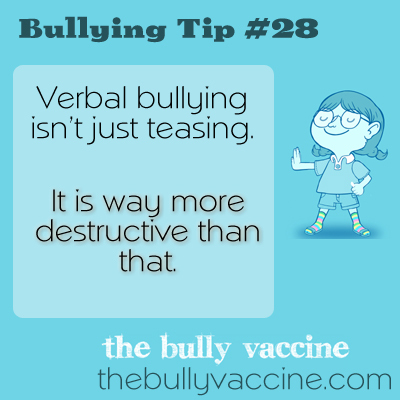 Even when you know verbal bullying is nonsense, it still hurts to hear mean things being said. The best way to defend yourself is to feel sorry for the bully.